The Rabbit is in "hidden union" with Tai Sui, bringing you great interpersonal relationship with everyone and best terms with people. Your overall luck is considered as lucky in 2019. You harbor promising hope in career and wealth this year due to propitious stars in your constellation. 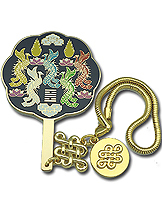 First and foremost, the propitious Jiang Xing star (General) will bless you with enhanced working status and authority. This star favors the leader especially; therefore those in the management level will not have the position being threatened. As for the contributor, the star also brings about nobleman coming forward to provide solutions. On an excellent note, wealth is good in terms of mainstream income because you are being blessed with Jin Gui star (Gold Chest). It means you will be able to snowball your wealth and save for the future. It will also be a lucky year to start your own business. Try your windfall luck by buying a few lottery tickets and see if you are in for a sweet surprise. Next, enhanced working status and authority will be in store for you with the appearance of San Tai star (Three Elevations). It brings nobleman luck to enhance your chances of enjoying a better income and social status. This is highly beneficial for students sitting for exams as well. However you are advised not to commence or expand a business. On the downside, financial losses will be caused by villains. This may prevent you from accumulating your wealth. The presence of a powerful star of backstabbing Wu Gui (Five Ghost) will bring you troubles and turbulences caused by backstabbers and rumor mongers. They are everywhere around you to run your name down, wreak emotional havoc, resulting in emotional volatility and instability. Mental turbulences and distress can result in uncertainty leading to financial loss and unwanted chaos. Next, unlucky stars Guan Fu star (Officer Charm),Fei Sui star (Flying Charm) and Nien Fu star (Year Charm) join forces to bring about surprising legal proceedings, court cases, disputes and arguments. You will need to deal with officers and lawyers to solve legal problems. They are pesky stars that cast spells to bring unexpected disputes and lawsuits with government officials. They can be problems associated to taxes and fines that you will need to pay to the authorities. Be careful of queries from the Government Tax Department. Gossips are aplenty and you tend to be extra argumentative. Be more discreet and mindful when giving comments on social media to avoid the risk of legal setbacks. Health wise, you may be susceptible to illnesses and injuries. You ought to pay extra attention to stomach problems. Your love life will not be rosy due to your fluctuation in emotions. Resolve 3-Killings/Legal Problems - Display the 3 Chilins in the west. Carry along the 3 Chilins Amulet. Heaven Star #6 (Windfall) - Display the Fortune in your Hands in the east to secure windfall. Elevate Career - Carry along or display the Emperor's Robe Amulet at your work desk. Attract Wealth/Windfall - Display the Dragon Gold Bars in the east of your living room. Wear the Pregnant Dragon Pendant. Dispel Vile Characters - Display the Four Friends in the west. Love - Couples can display the Dove with Amethyst in the NW. Singles can display the Nine Tailed Fox Amulet in the north.